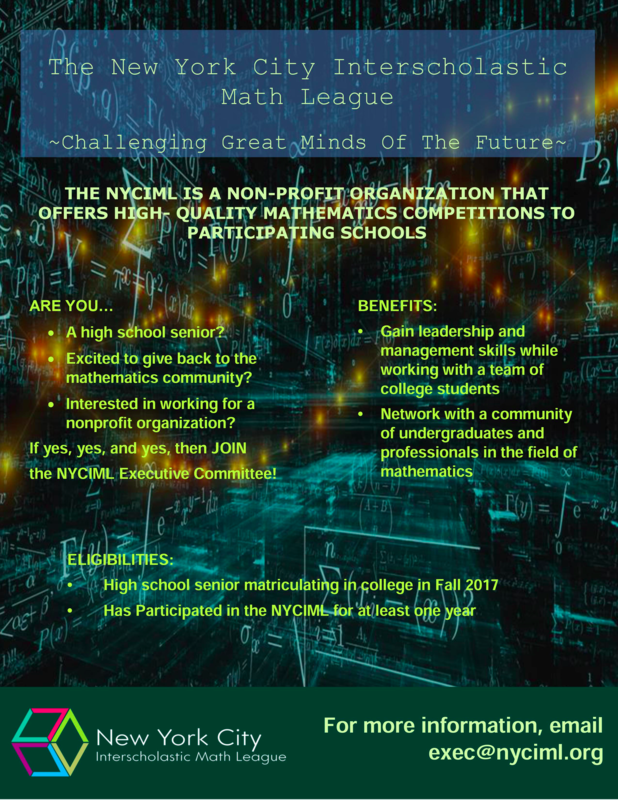 The application can be found here and must be sent to exec@nyciml.org by Sunday, June 11th, 2017. The sooner it is finished and sent, the better, so that we can get into contact. If you have any questions, don’t hesitate to email us at the provided email. ***Update: The deadline for the application has been extended to July 2nd, 2017.